What If You Didn’t Need to Have Flowers for Your Wedding? How many times have you heard the phrase “we’re a one-stop-shop?” Gets annoying, right? Because 9 times out of 10, whoever is saying they’re a one-stop-shop really isn’t telling the truth. Well, the whole truth. Couples LOVE hearing that a venue is potentially their one and done, offering everything they could possibly need for a magical wedding day. But not many places do it all (and by all, we mean providing celebration places for both ceremony and reception, boasting several different backdrops for photos, and offering so much built-in, natural beauty that floral decor might not even be necessary). That’s why a wedding at The Market at Grelen is truly something special. 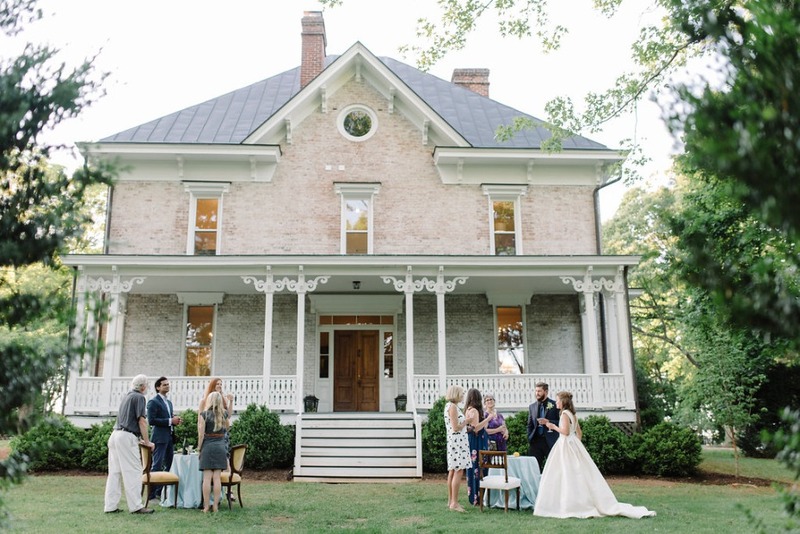 Grelen offers two unreal venues for destination, elopement, and garden weddings: The Market at Grelen & Boxwood Villa. 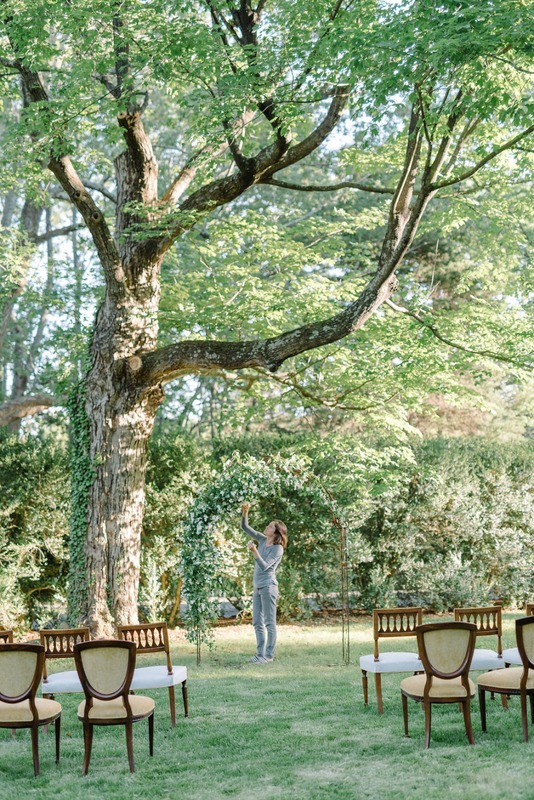 The former is unique, because it is set on a gorgeous 600-acre tree nursery in Somerset, VA and shows off incredible views of the countryside and Blue Ridge Mountains. It is an enchanting place that accommodates up to 300 guests and offers a wide variety of event spaces that can be transformed by couples into completely one-of-a-kind experiences ((we’ll fill you in on some of our favorites 👇)). Boxwood Villa is a renovated 1891 home set on a private 13 acres right down the road from Grelen and outside of the town of Orange, VA. 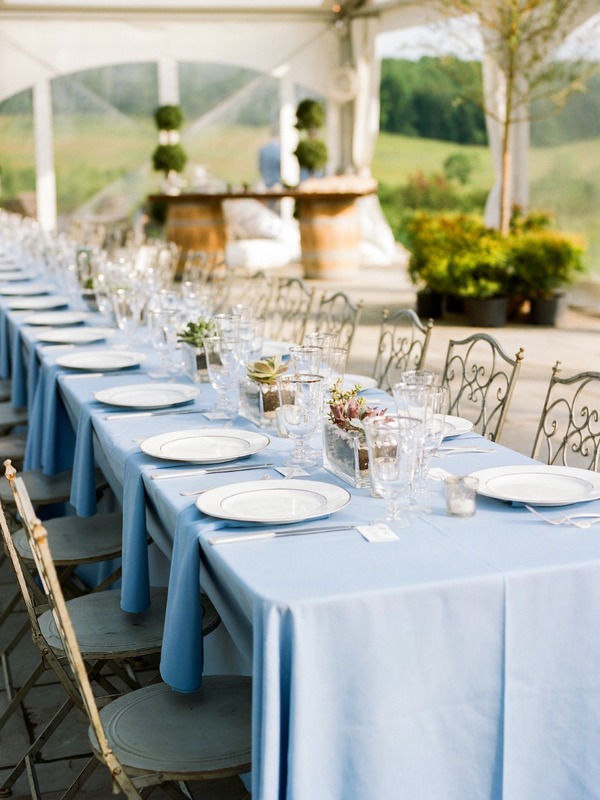 It is loaded with sophisticated charm and perfect for a garden wedding for 150 or less. Plus, it also offers lodging, for that first night of wedded bliss! Wayyyyy less was best for this ice blue and silver inspired wedding, too. One table, 10 white and cream upholstered chairs, the prettiest pink peonies and vintage crystal, a seriously good-looking group of guests, and two of the happiest people on Earth. 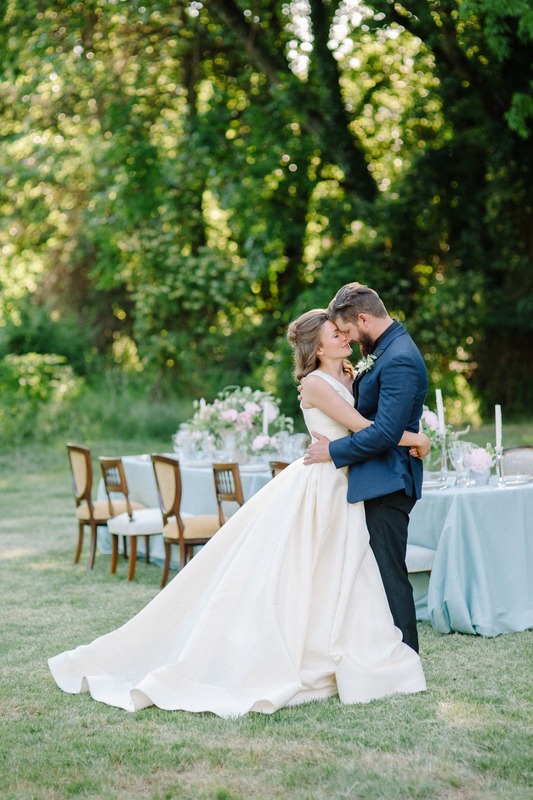 This Boxwood Villa styled shoot is a wedding ‘what if,’ but we’ll be musing over these ‘I Dos’ regardless. And about that no flower thing? Look, lots of venues promise beyond fathomable built-in beauty that you wouldn’t even really need all that extra decor and flower fluff. However, Grelen is one of the only venues we’d actually care to hear or believe that from. 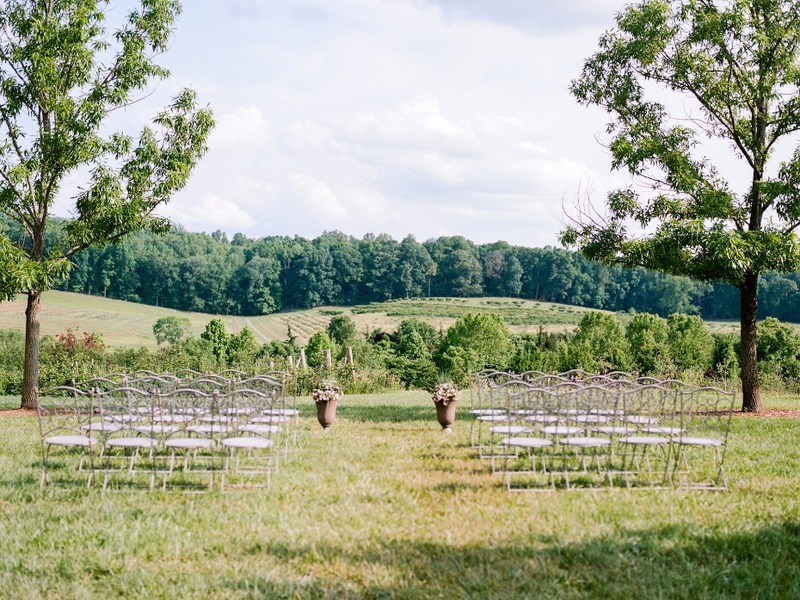 The grounds are absolutely stunning - and though we loveeee a great vow exchange in the midst of the Blue Ridge Mountains, we’re even more psyched about the greenhouse, berry fields and potting shed scenes. All of which can be used for intimate cocktail hours, secret garden-style seated dinners, or as dynamic, picturesque extensions to larger celebrations happening in the Orchard Overlook Tent. And the best part, or perk of it all, is that you get to select from the venue’s wide array of plant material to use on your wedding day. No matter how much flower savvy you say you have, if you have the opportunity to pluck some flower power from a botanical garden venue with the greenest of thumbs, you do it!!! Of course, we’re suckers for a tented wedding reception under romantic twinkling lights, but Grelen isn’t only a one-hit wedding wonder, the venue also hosts amazing, smaller-scale private events - from experiential bridal showers, whimsy with wine tasting and terrarium building workshops, to the coolest glamping adventures for the bachelorette and her girls. Book a tour now! If a big wedding with loads of people isn’t exactly what you had in mind when you decided to get married, we feel you!! And so do the folks @ Grelen! They’ve got a number of Elopement Packages that might be perf for you. Elopements are usually offered Monday through Thursday, but for a limited time the venue is offering the same great weekday prices for 2018 Fall weekends (that are still available at Grelen’s Boxwood Villa). If interested, definitely reach out to their Event team for availability and more information (tess@themarketatgrelen.com). 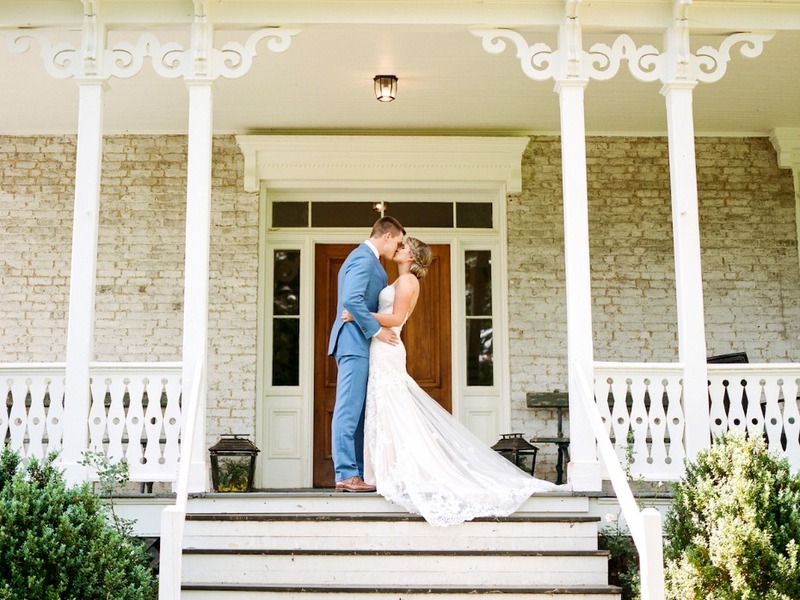 We partnered with The Market at Grelen to share this dreamy Charlottesville wedding spot with you. As always, thank you for supporting our sponsors!